The latest South American artist to be invited to London by Pigment London and hit up some walls out East is São Paulo artist Alex Senna. Pigment have been working with emerging Brazilian artists and inviting to them over to Europe to exhibit works and to paint the streets. We have previously seen Pigment working with arists Sliks (covered here) and Rodrigo Branco (covered here) both of whom have left their mark on the city streets. Alex Senna has been painting non-stop since his arrival in London via Tilburg in Holland and you may have already spotted some of the artists signature Black and White murals or bird tags. 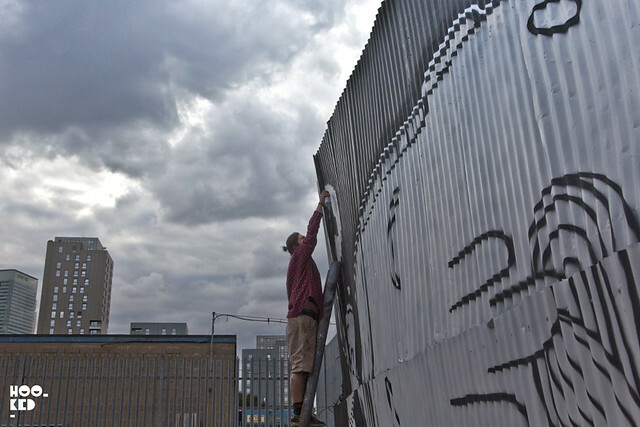 Hookedblog caught up with Alex yesterday evening as he was completing work on his largest London mural to date. 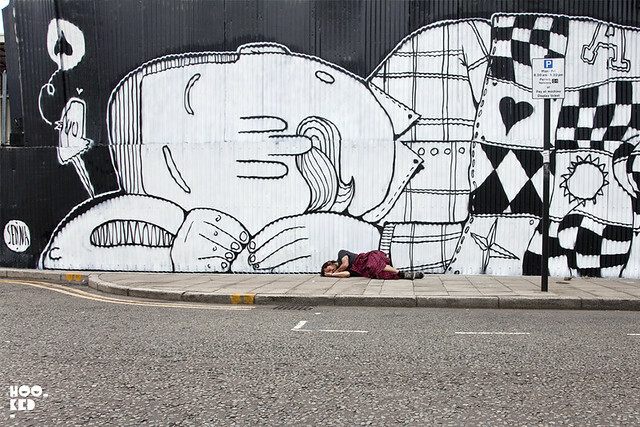 Taking three days to complete this huge black and white sleeping character is to be found on the side of a quiet back street under the Docklands Light Rail tracks near East India station. Working alongside the artist over the last two days was fellow South American Cranio who is also in London (covered here). 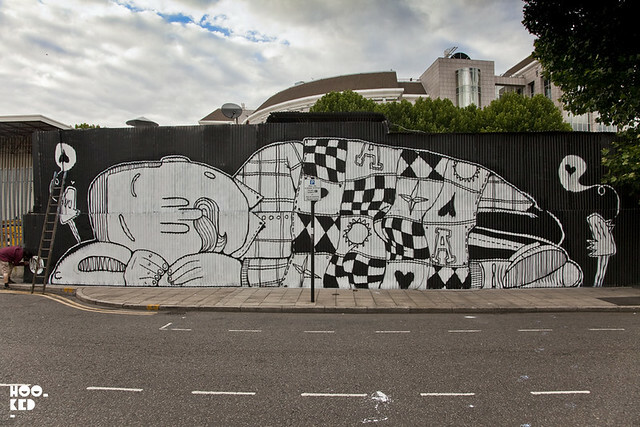 Cranio has yet to finish his sleeping character mural, so be sure to check back with us soon for photos. 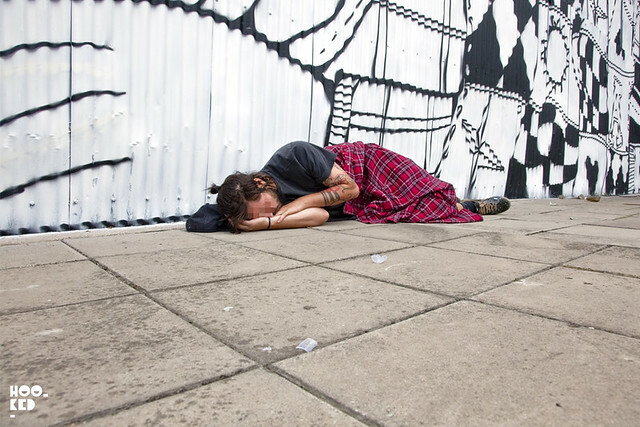 Alex Senna takes a nap in front of his finished mural.